Say hello to Louis! He is one of 1,500 collectable bears in the world and was made with care and love in 2015. Large 18 inch Helium Balloon included. His perfect caramel-coloured fur is made from Soft-Luxery material and all of the additional features on this bear are handcrafted. This luxury bear is fully jointed which means that you can move his arms, legs, and his head! He is also weighted with beans so you can display with confidence and pride! 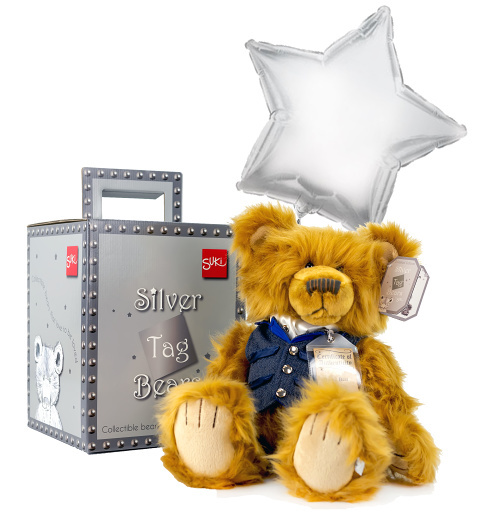 Each bear comes with a collectors box, gift wrapped in tissue paper and delivered with an 18&apos; Silver star helium balloon.